Updated Feb. 24, 10:05 a.m.
Teeing up what could be a politically explosive fight before the midterm elections in November, Defense Secretary Chuck Hagel on Monday will recommend billions of dollars in annual budget cuts that would reduce housing allowances and other benefits, increase health-care premiums, and limit pay raises, CBS News confirms. 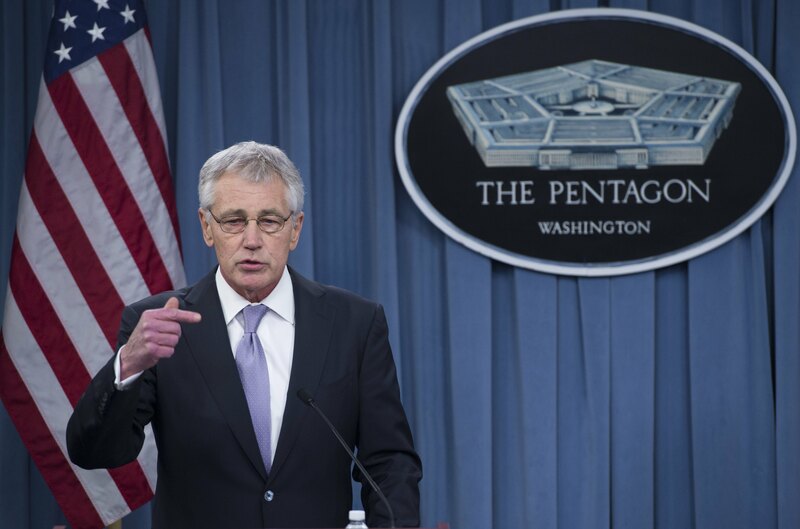 The recommendations, first reported by the Wall Street Journal, are part of a broader effort to trim the Pentagon's budget while minimizing the impact on preparedness and capability. But they're likely to provoke fierce opposition from veterans' interest groups and lawmakers on Capitol Hill. The Pentagon argues that personnel costs are simply too big a share of the defense budget to ignore. "Personnel costs reflect some 50 percent of the Pentagon budget and cannot be exempted in the context of the significant cuts the department is facing," Adm. John Kirby, the Defense Department's top spokesman, told the Journal. "Secretary Hagel has been clear that, while we do not want to, we ultimately must slow the growth of military pay and compensation." The recommendations would limit pay raises across the board to 1 percent, and they would freeze pay entirely for generals and admirals for one year. In addition to reduced housing allowances, the recommendations would slash the subsidies for commissaries that provide groceries to veterans, service members, and their families at reduced cost. The commissary cuts could be a particularly heavy lift, a senior defense official told the Journal. "These are near and dear to the retired population's heart," he said. "The commissaries will be a battle." The Associated Press reported Monday that Hagel is also expected to propose cutting the size of the Army from 490,000 active-duty members to between 440,000 and 450,000, down from a post 9/11 peak of 570,000. But even less controversial cuts are likely to be a battle as lawmakers look ahead to the 2014 midterms. This month, a strong bipartisan majority of in both houses of Congress repealed a measure, just passed in December's budget agreement, that would slow the annual growth of military pensions. CBS News national security correspondent David Martin contributed to this report.